When I was in my teens, every year I'd look forward to the six hour drive from Vancouver to Oregon, to watch the G.I. Joes Grand Prix at Portland International Raceway. It was an amazing time for sports car racing in America, with factory entries from Jaguar, Nissan, Toyota, and Ford as well as a host of privateer Porsches. In the support role to the big prototypes were the GTs, which amazingly enough, had enough numbers to run in a totally separate race. The main players back then were the AAR Toyota Celicas, Roush Mustangs, Cougars and XR4Tis, Nissan 300ZXs, Maxda RX7s, Audi Quattros and various tube frame Camaros and Firebirds. There were plenty of lower class GTU (under 2 liters) cars racing too, but I didn't really pay much attention to them at the time. This brings me to the subject of this gallery posting…. 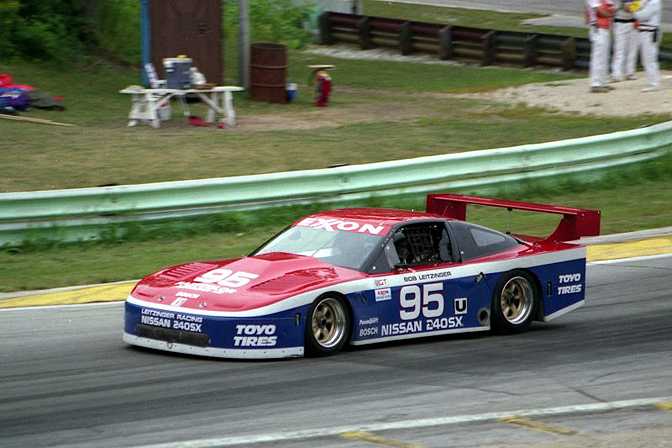 I was planning to put together a few posts looking back on Nissan's great IMSA racing campaigns from the 80s and early 90s and started to look through Mark Windecker's photo archive to get the images rounded up. 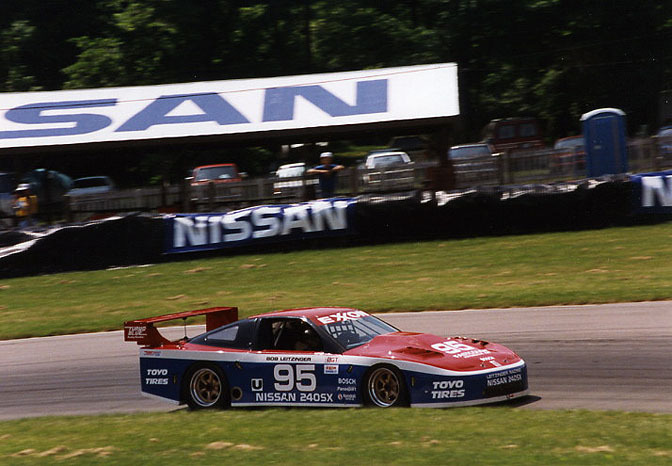 In looking at his pictures from this time period, I started to notice Mark was displaying a fair number of factory Nissan racing S13s in the GTU category from around 1990 to '93. If I dig in to my memory banks I can just about remember these cars… barely…. 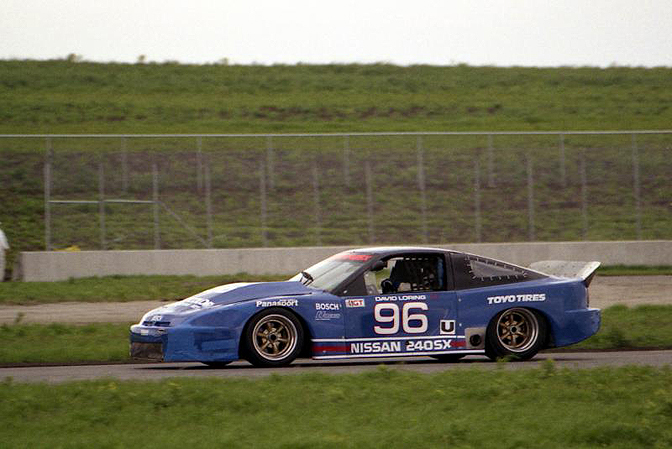 It appears that when the 240SX S13 was still a shiny new car in showrooms across America, it was supported by a factory backed racing program in the IMSA Camel GT series. 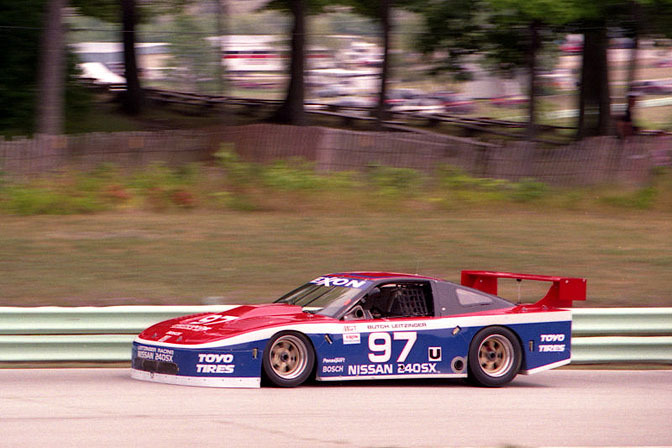 It is hard to track down details of the campaign now, but judging from my knowledge of IMSA GT racing from the time period, the cars would have been full tube frame silhouette racers. 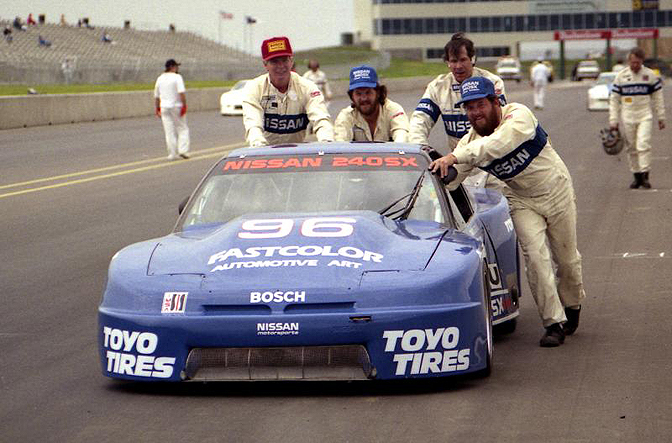 This is the American Instrument Racing entered S13 at Topeka in 1990. 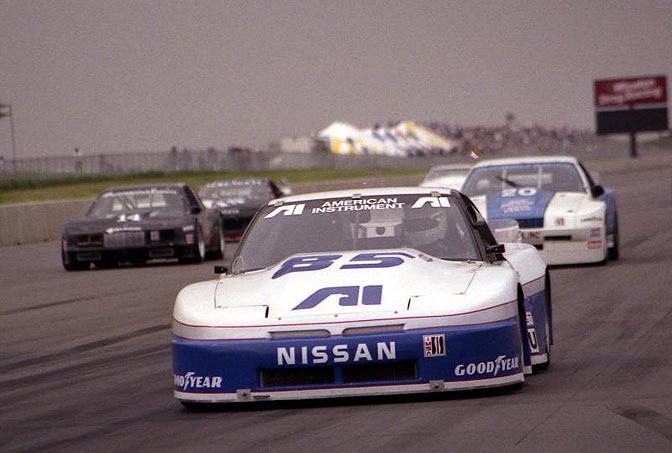 The main Nissan factory supported team for the duration of the program was Leitzinger Racing, a family run operation headed by Bob Leitzinger, the father of Butch, who some of us may be more familiar with. This is one of their cars at Topeka in 1990. 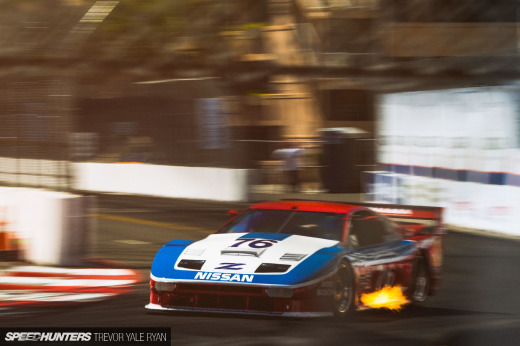 By 1991 the cars were adorned in more familiar Nissan racing colours and sported updated body-work. 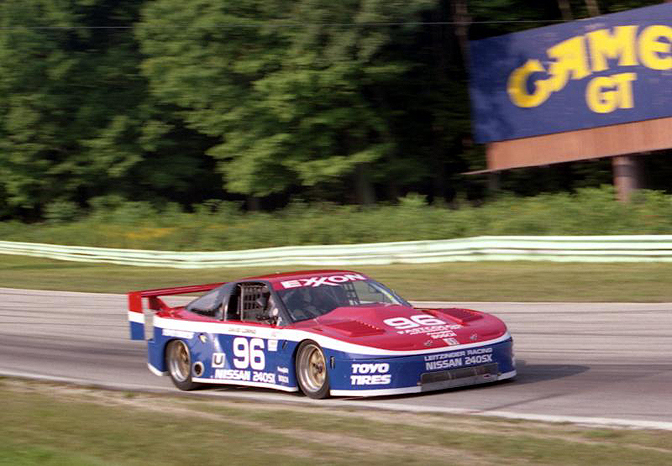 This is Bob Leizinger piloting one of the team cars at Road America, where he took third place in the GTU class. 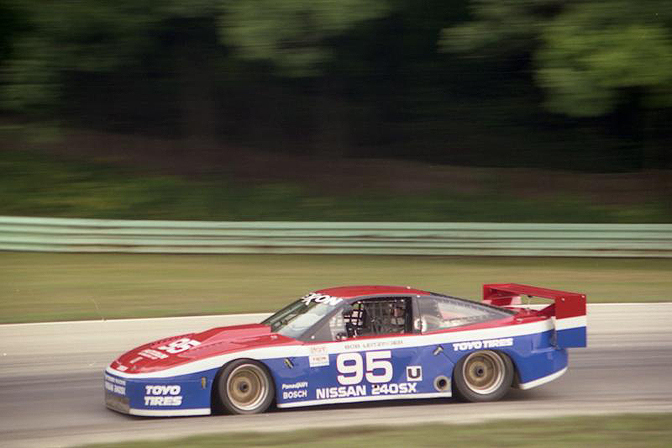 1991 was the first year Nissan won the IMSA GTU Title with Leitzinger Racing. They went on to take the overall manufacturer's title every year to 1993… Interesting huh? 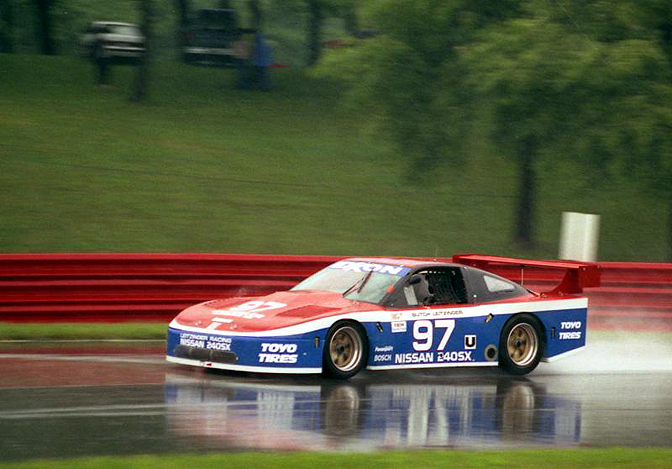 Did any of you know the S13 had this type of GT racing success? 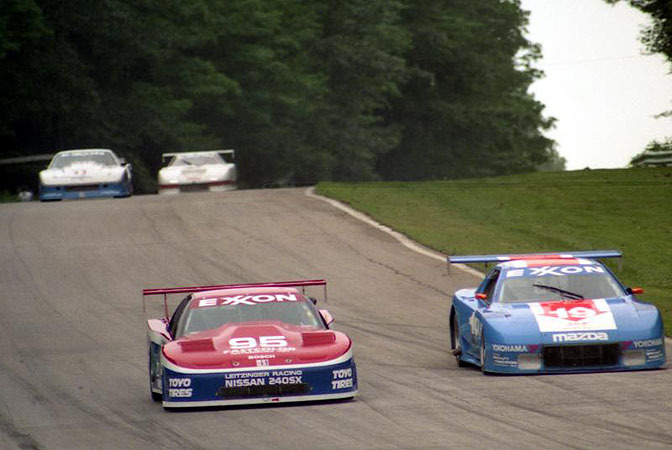 By the time this photo was taken at Mid Ohio Raceway in 1992, the cars had changed again with a much more radical wide body setup. The car is piloted here by a very young Butch Leizinger. 1992 was a great year for Leitzinger Racing, with the drivers locking out the top three places in the drivers championship. Butch ended up 2nd in the championship with David Loring taking the overall title. 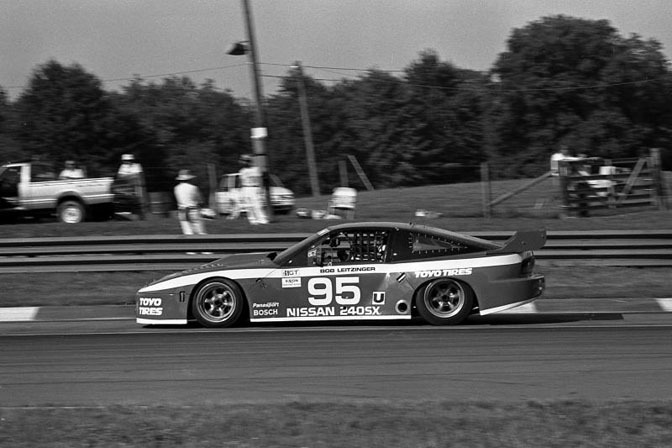 Pictured at Road American in 1993, Butch went on to win the IMSA GTU title that year. It was the first milestone success in his racing career which has seen him drive for Panoz, Cadillac, Bentley and of course his mainstay: Dyson Racing. 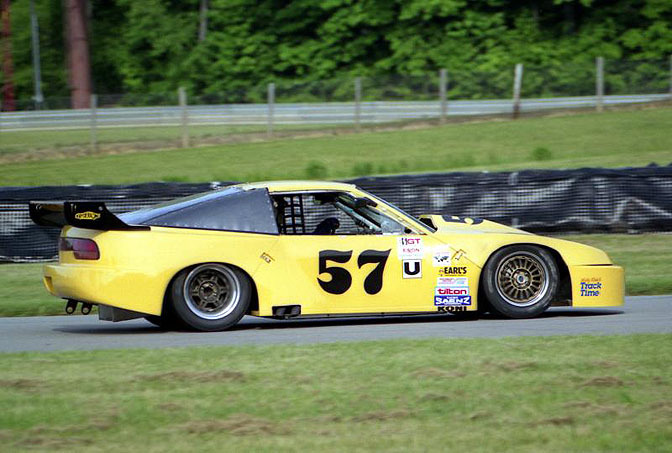 Next up we'll look at the IMSA Racing 300ZXs…. Thanks to Mark Windecker for the photos. Does anyone know if they used the KA24 or shoved something like the VG30 in them? Either way, choice post Rod, love to see retrospective posts like this. Cool! I never knew Silvias had GT racing heritage. Then again I was only a couple years old when this took place! Absolution, from what I can tell, I believe these cars were powered by KA24s. Not a whole lot of info out there, though...aside from asking one of the Leitzingers themselves, it'd be hard to find out. bobberz, these would be 180SX chassis in Japan, not Silvias Silvia is a term for the S-chassis coupes only. 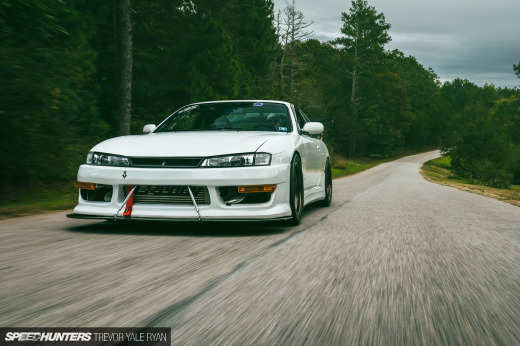 But as these are USDM cars, I still prefer to call them 240SXs. 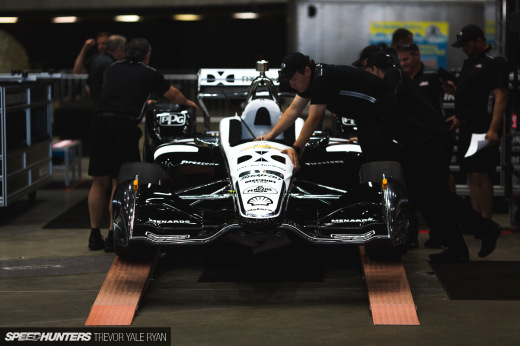 These are some amazing photos...so cool to see these vintage race cars in action. It's too bad IMSA has changed so much since the days these photos were taken. You guys should run a story on the history of IMSA! I've heard that nissan campaigned the KA24E (single over head cam) in racing series in japan, so maybe they used the KA24E here as well. 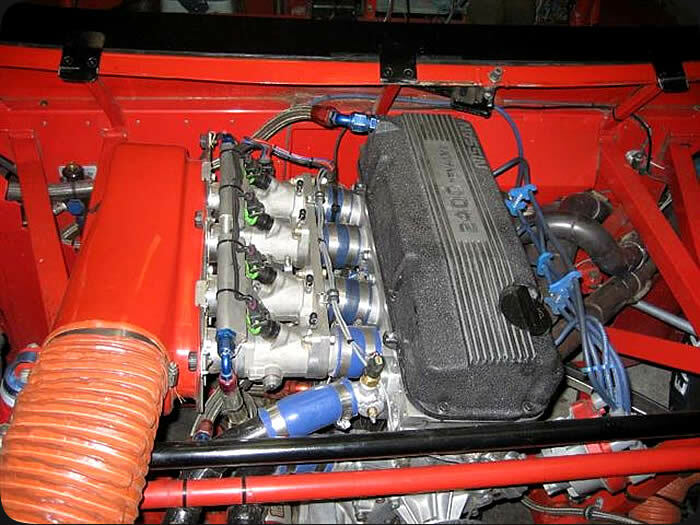 The cars ran a Nissan V6 2800cc engine that was naturally aspirated. These cars were running a Ka24e, open a nissan motorsports catalog available for 5 bucks at any local nissan dealership for proof. Plus, I used to watch these things race at PIR and they were deffinately powered by Ka's. fairly sure theyre the same anyway. and yeah they run the ka if its the same cars. they dont have much to do with an s13. full tube frame, live axle, and wishbone front sussy. The Leitzinger prepped cars were powered by 3.0L N/A V6s. The American Instrument car was my fathers team. That car was driven and preped by Don Reynolds. It was indeed a VG30. Don was an engine builder for NPTI so he also had the electromotive managment system as well. Also the cars were mostly tube frame short of the roof line and some of the floor of the car. Butch's car was full tube frame along with David Loring's. The only cars that used the KA24 were the Nasport cars which was an SCCA Pro Series which were basically SCCA GT3 cars. I know where one of these is. Its collecting dust in a warehouse in Atlanta. These cars use to run Mosport also I believe. The Leitzingers are awesome racers. Butch still drives LMP's and GT's in ALMS I believe. Road America!!! That's one hour north of me!! These cars are fantastic. Although, I feel that there is not much "stock" left on these cars. is that a black BMW 8 Series racer on the left of the 4th picture?? gold wheels, what wheels are those?? Does anyone have any detailed pics of the chassis on these? The suspension? Anything? I wonder where these race chassis's are located today, and what condition they would be in. Someone needs to contact a Nissan rep and let him in on the fact, there are a few 240sx enthusiast that might want to see these vehicles. Here's a little bit extra..
these cars were originally designed and built by Ron Nash Engineering in Silver Springs N.Y.